HBO’s hit fantasy series Game of Thrones, based off the books by George R. R. Martin, has become a cultural phenomenon. With the seventh season only weeks away, it’s likely that many fans are taking the time to catch-up or get through their latest re-watch of the entire series. 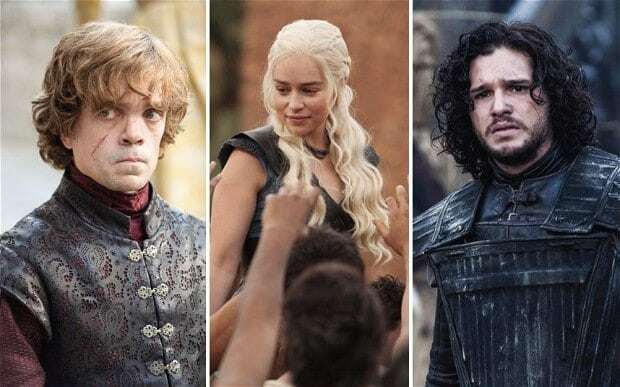 Over the past 60 episodes, hundreds of characters have lost their lives or met particularly gruesome ends; none of the noble Houses have escaped unscathed at this point! But in a world of magic and dragons, only the King of the Seven Kingdoms can pass judgment. (In Westeros, it’s safe to say anyone defamed, injured or killed by the negligence or unbridled ambitions of House Lannister are probably not going to be winning any personal injury claims.) Here’s part one of a look back at six seasons of injury, malicious attacks, politics, homicide and all the legal ramifications that should have come with it. Beware of spoilers ahead! While House Stark is generally seen as the main protagonists and fan favorites of the Game of Thrones series, their actions have not always been noble. Like other families in Westeros, the Starks secured their position as kings of the North through bloodshed and political power. Nine years before the events of the series take place, House Stark was directly involved in a war of secession against House Greyjoy. House Greyjoy was attempting to break away and secure independence from the Iron Throne, establishing a new kingdom in the northern Iron Islands. House Stark aided the Iron Throne in crushing the rebellion. After the surrender of Balon Greyjoy, his last surviving son Theon was made a ward of House Stark as an incentive for Balon to remain on his best behavior. Essentially kidnapping the only male Greyjoy meant Balon no longer had a legitimate heir. The decision was made intentionally to cripple the Greyjoy legacy. In legal terms this would be considered a “tort”; derived from the French word for “wrong” a tort can be classified as any intentionally malicious attack with the intent to inflict physical or emotional distress. Almost all of the drama in the Game of Thrones series comes from characters making intentional torts against one another! House Baratheon sits atop the Iron Throne as rulers of the Seven Kingdoms. King Robert Baratheon dies early in the first season, leaving the title of king to his male children: Joffrey and, eventually, Tommen. Joffrey’s short time as king is particularly tumultuous. It would be an understatement to say that power goes to his head! Joffrey is directly connected to the death of many of the Starks and quickly becomes known as a violent, cruel young man. While no citizen would ever raise their voice against the king, many characters in the series would be justified if they chose to file a tort against him. It’s safe to say many of his “subjects” would have several justifiable reasons to bring civil cases against him for everything from intentionally inflicted harm to physical, emotional and financial damages caused by negligence and incompetence in his management of the kingdom’s affairs. House Frey quickly became infamous among Game of Thrones fans for one particular episode. (Spoiler Alert!) In the ninth episode of the third season Robb Stark and his banner-men are slaughtered by the combined efforts of the Freys, Boltons and Lannisters. Robb, his mother Catelyn and Robb’s pregnant wife are all brutally killed. The violent scene shocked viewers and its effects are felt in the narrative even through season six. In today’s court of law the Frey family and their allies would not only be held accountable for multiple counts of homicide, but could be charged with personal injury and wrongful death lawsuits by the surviving family members of the people they killed. Contact us today for more information or to schedule a professional consultation.